Yes, it's Memorial Day. I am not going to open a political can of worms by telling you how to spend your day (although "holiday" and "celebrate" never seemed appropriate words to use in connection with a day originally called "Decoration Day"...a day the families of Union soldiers "decorated" their graves.) Somehow along the way, Decoration Day became Memorial Day and Memorial Day became the unofficial first day of summer. I am choosing to honor the unofficial start of summer by frying myself at the beach. And being a writer of historical fiction, I am contemplating those who have served our country in the military, past and present. However you feel about a particular war or "conflict" (Neither Korea or Vietnam was ever officially designated a war, to say nothing of whatever you call the current action in the Middle East), the important thing for a writer is to not allow the world to forget the men and women who believed in sacrificing their own dreams and lives in service to their country. I am from the generation whose parents were in WWII. "What did your father do in the war?" was a question we kids asked as a matter of course. 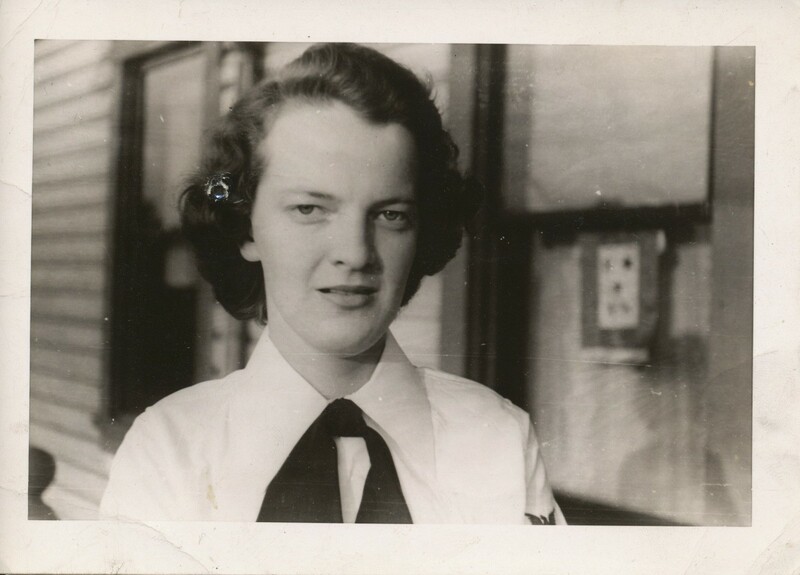 My parents were Navy cryptographers. My father-in-law, a Naval commander had not one, but two boats sunk from under him in the Pacific. My first boyfriend's father was in the infantry invasion of Italy. One of my distant relatives who had lied about his age to get into the service, died at D-Day, age fifteen. I had brothers who fought brothers during the Civil War. So today, as you are sizzling up those cheeseburgers or trying to find a place to park your towel at the beach, remember. It's not our personal politics that matter, but those of our ancestors. We should honor their choice. Memorial Day...a day of memory. So...rewriting. Can't we just skip it? Can't we just write something brilliant and then jump to that thick-carpeted Hollywood office where we're signing the movie contract based on our book? I've been feeling discouraged this week, so here's a poem about my work-in-progress, another novel-in-poems which I'd hoped would be finished when I turned in the April 14th draft in my novel writing class. When my eight fellow classmates and my instructor had read my novel, I lugged the manuscripts home and read everyone's notes. Then I tossed the notes that were complimentary, the ones with lots of check marks and comments about how fabulous the book was. I mean, yes, yes--thank you, glad you like it--SO DO I--that's why I WROTE it, I want to say. Let's get to the meat, the real nitty gritty, the stuff you couldn't stand, the poems that should be cut. Isn't that why we're here? But I was feeling pretty low. So I reached into the recycling box and took out a handful of the compliments--the ones I'd so blithely dismissed. I read them slowly. I tried to keep my getting-ready-to-be-defensive voice from yelling back at them. I just. Let them. Like. My words. So what's your writing workout today? Simply this: Listen to the good stuff, too. Today I shout THANKS! to those writers I taught and/or coached and/or read and took heart from who helped me survive an especially gray, cold and wet Chicago Spring. Their words and their Good News, whether emailed, snail-mailed, SKYPED or phoned in, helped me stay aloft these past three months. 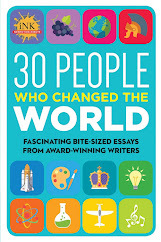 How nice that in exclaiming my appreciation for these writers’ updates and continued connections, I’m also establishing a new TeachingAuthors feature - THE SHOUT-OUT!, with the accompanying chosen image, the megaphone. 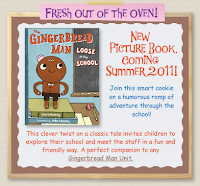 Putnam finally released this Florida writer’s long-awaited first picture book, THE GINGERBREAD MAN LOOSE IN SCHOOL. Laura and I first met at the 2006 LA SCBWI Conference. She worked oh, so hard, revising and readying for quick purchase this original take on a much-loved story. Illustrator Ard Hoyt is already at work on Steve’s next picture book, STAY WITH SISTER (Pelican Press, '12). Steve wrote the manuscript – a follow-up to LOVE THE BABY and SHARE WITH BROTHER, in my 2010 Fall Newberry Library Picture Book Workshop. • Three soon--to-be-MFA-degreed writers – Ellen Reagan of Deerfield, IL, Helen Kemp Zax of Washington, D.C. and Chicagoan China Hill. ago in a Newberry Library Workshop, long before graphic novels and ePublishing became the rage. Chamberlain, wrote and illustrated R IS FOR RIVER GROVE ELEMENTARY: A ROYAL ALPHABET. Cheryl’s SECOND SIGHT, a compilation of her insightful, manuscript-changing and writer-changing talks on writing, revising and publishing books for children and young adults, is now finally again in stock. I’m busily ear-marking pages and underlining passages to share with my writers of all ages. So, again, I shout out my THANKS! to those writers who shared their words and their Good News these past three months. You kept me flying, no matter the weather. My neighborhood book club may keep our local winery in business, but we do a pretty good job on the reading front, too. This fine group of ladies even inspired me to write start a Mother-Daughter Book Club book (too bad, though I started writing eons ago, someone beat me to the finished product). I have several friends who started mother-daughter book clubs in real life, and I'm itching for the day my daughter is old enough for me (or, preferably, one of her friends' mom) to do the same. What about boys, though? How come they always seem to be left out? I was standing at the starting line of my daughter's school's 5K this weekend, having an awesome conversation with a neighbor's son about Rick Riordan and 13 Reasons Why, which was our (grown-up) selection this month, but which he read and discussed with great insight. At any rate, this post is really about my husband, who teaches reading at a middle school. Because of "specials" (band, etc. ), the school has a one-period, no-credit class called CORE. For next year, the prinicpal decided that CORE should involve a school-wide book club. My husband is on the planning committe and was asking me for book recommendations with curricular tie-ins. He was especially interested in multicultural books and books that dealt with issues of social justice (hello, Yankee Girl). Because students rotate through the class, his school is thinking of buying kindles to increase interest and make it feel "cool" and different. 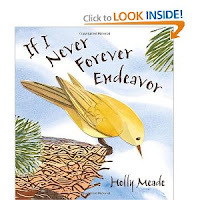 I'm putting this out there to the whole teaching community and piggybacking on Mary Ann's fabulous Summer Reading post. What else would you do to make this experience a memorable one for the kids? Fostering group reading obviously brings a whole new dimension to a process that is typically thought of as a solitary experience. As we look at social networking and sites like shelfari, interactive texts like the Amanda Project and yes, good old-fashioned book clubs... reading is more than what happens under the covers with a flashlight after bedtime. The other night, I lay in bed beside my daughter, each of us reading a book -- hers, Marvin Redpost (thank you, Louis Sachar!) was the first book she ever decided she couldn't put down. Deeply moved by the parallel experience, I said to her, "I love you so much. Can you stay this age forever?" She said, "No. But I'll love you this much when I'm seventeen. Maybe more." Isn't writing for kids the best? In spite of winterlike Wisconsin weather that has overstayed its welcome, we've been rewarded with plenty of spring flowers. In our tiny yard, I've planted my favorite Angelique tulips (on the right in this picture) in various spots, and some of them are blooming right now. This year (again), rabbits (or maybe squirrels) ate all the flower buds in one patch and left me the empty stalks. Here's a poem I wrote one year after a fierce thunderstorm wiped out a whole flower bed full. all that water crushing down. they never were intended for that rowdy scene. littering the lawn with ruffled shards. Because our springs can be chilly, unpredictable, stormy, and subject to hungry predators, I've learned to back up my favorite flowers by planting them in more than one place. Each year, at least a few of them survive to thrill me with my favorite pink blossoms. Today's Poetry Friday roundup is at The Drift Record. Looking Ahead, Blogosphere Buzz, and our Blogiversary Contest Winners! A HUGE thank you to all those who entered our Second Blogiversary Critique Giveaway Contest, and a special welcome to all our new followers! By the way: if you're an email subscriber and you haven't visited the blog lately, I encourage you to stop by and check out some of the new links in our sidebar. 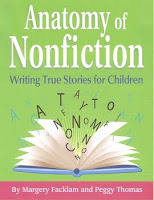 I've been adding to the sections "Websites of Note," "General Children's/YA Lit Blogs," and "Author/Illustrator Blogs." 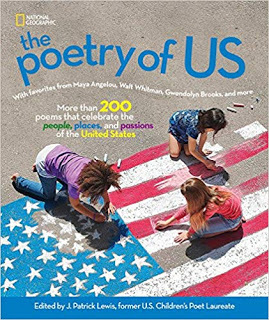 I've also updated the pages "About Us," "Markets for Young Writers," "Resources for Teachers," and "Workshops/Visits." And if you'd like to see if we've already addressed a topic you're interested in, see the "Subject Index of Most Popular Topics" near the bottom of the sidebar. If you didn't win, don't despair--see the Blogosphere Buzz below for a link to a contest where you can win a manuscript critique from publisher Elizabeth Law! If your burning question (see above) has to do with the current market trends in children's literature, instead of asking us, read this post by author/agent Mandy Hubbard. Here's an exerpt: "editors are really short on MG and feel this market is primed to boom in the way YA has." Would you like a chance to win a 30-page manuscript critique from Egmont publisher Elizabeth Law? Then head over to the Cynsations blog! And while you're there, be sure to read Cynthia's great interview with Elizabeth and author Allen Zadoff. 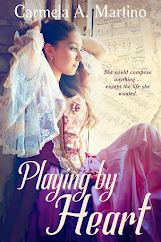 I recently stumbled upon the YA Historical Fiction Challenge over at the YA Bliss blog. If you enjoy reading middle-grade and YA historicals, check it out. Speaking of challenges, the annual 48-Hour Book Challenge hosted at the MotherReader blog will be here June 3-5. Sign up is already open. Congratulations to all the SCBWI Crystal Kite Winners! Beginning this week the SCBWI market blog is featuring a series of interviews with all the winners. Today's interview happens to be with my friend and fellow VC grad, Ann Angel, author of Janis Joplin: Rise Up Singing. Hurray, Ann! For those of you who don't watch as much TV as I do (guilty, guilty, guilty), the first sign of summer might be The Summer Reading List. I say might because I usually find my daughter's Summer Reading List crumpled under the couch about mid-July. 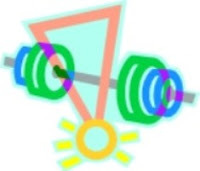 If your child springs forth on the last day of school, waving the SRL and demanding to go to the library right now...which is the kind of kid I was...you might want to skip on down to the Writer's Workout. Although I was willing to read what the school district thought every third grader should read, I usually lost my enthusiasm by book two or three. I am an omnivorous reader, and always have been. Yet, somehow, the Literary Poobahs in Curriculum Development managed to come up with twenty of the dullest books available for the grade level; Newbery winners, biographies about Important Men (always men, never women) and "classics" of dubious value. But I had to read at least one all the way through, because the first assignment on the first day of school (after the "What-I-Did-On-My-Summer-Vacation" essay) would be a book report on one of the summer list books. Not once did any teacher ask if I liked the book. The point was that words passed before my eyes at some point of those three months. 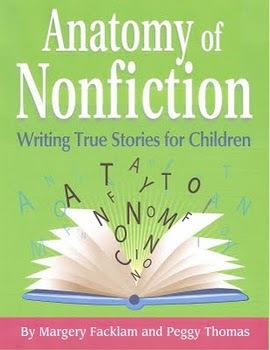 In short, up until high school, the emphasis is on plot, characters and the odd nitpicky fact. No one ever asked if we liked the book, or not until, my sophomore English teacher. That was a real loser of a year as far as required reading: Silas Marner, A Tale of Two Cities and Les Miserables (before Broadway ditched all the boring parts and added some great music). Where other teachers acted personally insulted when we didn't froth with delight over Evangeline or The Scarlet Letter, Miss Strain cared. We didn't have to like a book or a character, but we better have a reason why. "Just 'cause" or "It's dumb" were not acceptable reasons. Without telling us, she introduced us to the concept of critical reading. Many, many years pass. I become a librarian. I read constantly, almost unconsciously. I taught myself to speed read in college, so I blew through dozens of books a month. When I finished, I sometimes had the feeling I had just wasted my time. Other books, I loved so much I had to force myself to slow down and savor every word. Yet, all the time I recommended books to readers (or not), I could not tell you why I did or did not like a book. I assumed that if I didn't like a book, it must be my fault, that I just didn't get it. After all, this writer had a book published, and I didn't. Many years pass and I finally get the guts to enter an MFA in Writing for Children program. Almost the first thing we newbies are told is that we will be doing a lot of reading. . .and critiquing. Criticism of the educational variety was something that had not crossed my mind since my days in Miss Strain's class. "To be a writer, you have to learn to read like a writer," we were told. Uh-oh. No more reading for entertainment or points or book reports. We were to read, thoughtfully, mindful of what did or did not ring true for us as a reader. While it was hard for me to slow down, I was allowed the freedom to dislike a book. I was allowed to listen to those little voices that told me that this character wouldn't speak like this, or that a boy wouldn't act that way. One of the most consistent "little voices" were the ones that said that although a book was set in contemporary times, the characters talked and thought a lot like I did at that age, forty years ago. I am sometimes asked "Doesn't that ruin reading for you?" No. For one thing, I don't read every book that way. But learning to read and write critically taught me more about writing than anything else I learned in the program. Francine Prose has an excellent book on the subject (for adults), How to Read Like a Writer. Everybody is a critic, although at my house, my daughter's critiquing skills are most evident at the dinner table. Her first spoken sentence was "This is too spicy," (she somehow learned this was an acceptable way of saying "yuck.") It has remained her staple "no thank you," even if she is offered oatmeal. Keeping a critic's journal is a nice break from the usual observational journal, or those "writing prompt journals. Ideally, it would be great to tie the critic essay to a book, but I have had students critique everything from graphic novels to video games to movies to books on tape/CD. I make it a point to not use the word "journal"(smacks of school) or "diary" (implies you are about to dig into their secret souls). 2. The writer is allowed to say that something stinks, is stupid, is awesome, bites (whatever is acceptable language in your family/class/group). However, the generality then has to be broken down into specificities. For instance--the special effects were awesome. Then encourage the writer a bit more: What was awesome about the special effects? Were they real or computer generated or could you tell? The hamburger was awful...was it too greasy, too drippy, didn't taste like a hamburger? What did it taste like? 3. At some point, you convince your student that his opinion was so well thought out, why doesn't he write it down in this notebook? 4. I especially like to have students read a book, then see the movie version and have them compare the two. It doesn't work the other way around....the idea is to have the student form his own mental version of the book before seeing the movie. I have found that in almost every instance the student prefers the book version if it is read first. (This apparently doesn't apply to the Twilight Series. However, my students could go on forever as to why The Lightening Thief, the book, was so much better than the movie.) Again, make sure the comparisons are specific. Did the movie leave out your favorite character or scene? Why do you think the screenwriter did this? 5. For those long car trips, turn off the DVD player for a change (if you have one) and put on a book on tape. My daughter is dyslexic and was always frustrated at the huge gap between what she could actually read and what she could understand. This is how we "read" Harry Potter, The Narnia Chronicles, Holes, Hoot and almost everything Beverly Cleary ever wrote. (My personal and unasked for opinion is that Neal Patrick Harris and Stockard Channing made the best Henry Huggins and Ramona Quimby, ever) Even my husband, who is not a big reader, enjoyed listening. Some of these can be compared to the movie version, but some (like Henry Huggins) should be heard just for the fun of it. Remember fun? Summer? Nothing is more fun than having adults ask for and listen to your opinion. Then, as a former teaching colleague used to say "you have to 'fox' the kids into learning." P.S. from Carmela: Don't forget that the deadline to enter our Blogiversary Critique Giveaway is 11 pm (CST) Tuesday, May 17, 2011. That's tomorrow! Don't miss your chance to win a critique from one of the TeachingAuthors. See our Blogiversary post for details. Jama Rattigan's hosting Poetry Friday at Alphabet Soup ~ thanks, Jama! And here's the upcoming Poetry Friday Schedule. All this got me thinking--what forests do I know personally? Well...I've known some pretty wonderful trees in my time. So, naturally, I wrote a poem. I wish I could FaceBook our old avocado. I wish I could FaceBook our old avocado tree. 1) Read tree poems. You might read some of these. 2) Close your eyes. Breathe. Think back; remember a tree. 3) Jot down as many memories about the tree as you can. Scribble wildly about the smells, about each sense. 4) You're looking for real details. The ants. The nest. A little dead hatchling under the tree. Fruit-juice dribbling down your chin. 5) If you can find a similar tree, go to it now. Lie under it and look up, run your fingers along its branches, crush and smell its leaves, climb it. 6) I couldn't go back to my tree, so I went to Google images and typed in various combinations of the words, avocado tree, trunk, branches, climb. 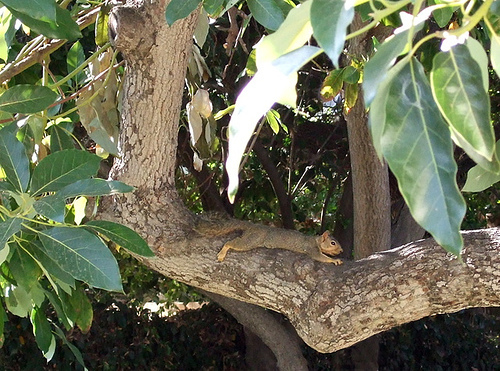 I found the terrific photo of the squirrel in the avocado this way (and met generous Amanda Wray when I asked if I could use her photo.) This photo brought back my tree and helped me remember more details. 7) Even young children will have a favorite tree. 8) If they cannot remember a tree--or if they live in an urban area and have no connection to trees, ask them to write about NOT having a tree memory...perhaps how it makes them feel, or what kind of tree they wish they had. The key here is honesty...and to stay away from cliches. So if they're writing about an imagined tree, ask them to do research--go outside or go online. Little, true details make all the difference. 9) Okay. So now you have the raw material. Now what? I didn't know either. I finally decided to write three-lined stanzas in which the last two lines rhymed. In the end, the rhythm of each third line is the same. Try this...or find another poem you love and imitate the structure of that. Enjoy your tree memories! I'd love to hear what tree you or your students chose to write about! In the end, it's the specifics, the details that make a poem. poem and drawing (c) April Halprin Wayland. All rights reserved. P.S: Remember to enter our Blogiversary critique give-away!--you have until 11 pm (CST) Tuesday, May 17, 2011! Please help me welcome my newest book, the board book Little Illinois. The book’s lively illustrations are courtesy of wildlife artist Michael Glenn Monroe. It’s the latest entry in Sleeping Bear Press’ Little State series. Each Little book in the series shares 10 rhyming riddles that introduce the very youngest of readers to a particular state’s symbols and identifying features. Brightly-painted clues frame each riddle. I’ve been smiling-smiling-smiling since Sleeping Bear Press invited me to write the Illinois entry for this series. Forgive the pun, but little did my publisher and editor know: I’ve been preparing for this moment since I was 9 years old! My state, when my fifth grade teacher Miss Smiley (I swear that was her name!) at Overbrook Elementary School in West Philadelphia assigned each of us a U.S. state, oh, so long ago, Alaska and Hawaii were relatively new? Illinois, the Land of Lincoln! I used my very best penmanship to write my perfectly formatted business letter to The State of Illinois, Springfield, Illinois, requesting materials to share with my class. I can still remember waiting at the top of my Philadelphia home’s steps, hoping my mailman's worn brown leather bag held my package. Once my Illinois-postmarked manila envelope arrived, I read the colorful pamphlets, memorized the state symbols, the state capital, the largest city, the crops and famous Presidents, then shared my information with my classmates. 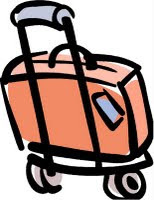 Miss Smiley and that treasured package traveled my mind as I drove west, college diploma in hand, through Pennsylvania, Ohio and Indiana, to Illinois, to “the city by the lake that stands sky-high.” I was off to teach fifth grade (! ), serenaded by the “purdy-purdy-purdy” of Illinois’ very own red-feathered state bird. Several Augusts in a row I drove south to the state capital to that “summer party with show cows and pigs.” Along the way, I passed Illinois’ “golden-petal-ed “Hi!”-waving prairie flowers and farmers’ fields ripe with tall, kernel-ed stalks. O, the joy I had writing Little Illinois. My most difficult challenge? Illinois is the Land of Lincoln. How could I introduce Abraham Lincoln to 3 and 4 yr. olds? The penny connection had me smiling again. Who knows? Maybe William Penn and cheese-steaks and the Liberty Bell would have had me smiling too, had Sleeping Bear Press invited me to write Little Pennsylvania. 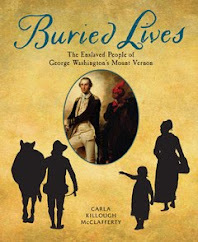 The Chicago Public Library is this book’s designated give-away recipient! Don't forget our Second Blogiversary Critique Give-away! Don't forget our give-away of Mary Ann Rodman's newest book, Camp K-9! The deadline is 11 pm Wednesday, today! Writing Workout - How to Write a Riddle! Try your hand presenting a subject – Your School, Your Classroom, Your City, Mother Goose rhymes, Fairy Tales, The American Revolution, Geometry, Story elements - via riddles, even rhyming riddles. 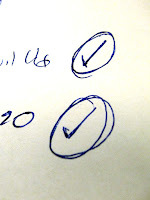 Brainstorm your subject's essential components and/or identifying features. Next choose your top five or top ten components/features. Create at least 3 clues that make answering each riddle easy/possible. Compose the riddle in narrative first, then try rhyme. 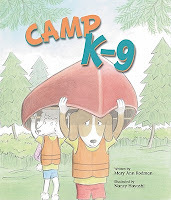 And enter our book giveaway for Mary Ann's new release, Camp K-9! So... momentous moment in our household of writer types! My four-year-old wrote his first note the other day – unprompted and perfect. You wouldn’t know it from all the fighting heard around our house this weekend, but hey. His elder sister, on the other hand, is mostly a staunch realist these days (apart from the occasional game of Superhero and her steadfast belief that someday she will indeed fly). She brought home from kindergarten this week the most perfect writing assignment of all time. Ham is a (stuffed) English Bulldog. He comes with his own carrying case, bone, leash, collar, bedtime books, and journal. He goes home with a different student each weekend and comes back to school with a full report on his weekend activities. Because we are one of the last families to have Ham (and boy, have I heard about that! ), we had the privilege of reading most of Kate's classmates’ tales. These were generally factual accounts peppered with some fun leaps of faith: Ham misses the teacher. Ham enjoyed a mac and cheese dinner. Ham made a puddle on the floor (three, in fact). The delicate melding of fact and fiction is, let's be honest, something we do in our lives every day. How often do we embellish, do we add or remove detail to make our point most effectively? Creative non-fiction and biographically based fiction (“write what you know”) have a lot more in common than we might like to admit. I always tell my students that the fact. vs. opinion vs. fiction dichotomy is more of a continuum -- much blurrier than we often realize. Into which category, for example, does The Bible fall? When I wake up from a hazy dream – as occurs frequently since I can’t remember my last uninterrupted night of sleep – and later can’t remember whether something was real or a figment of my imagination – if I were anyone but a writer, I might think I was losing my mind. As a writer, I think -- good! My unconscious is working on a story for me! 1. Write a 250-word account of an event that's happened to you within the last 24 hours. 2. Change one specific detail to make your story more vivid or interesting. 3. Finally, keep a nugget of truth from your story and rewrite the whole thing so that it's almost entirely fictional. When I get a writing idea, I usually live with it awhile before I start working. ("Awhile" could be two weeks or two years.) I never sit down right then and plough into it. Except sometimes. Especially if it has been awhile between good ideas. This was one of those times. I had a character I already knew very well (Nilla) and more than enough scenes for a 32 page book. I banged away at the computer far into the night. What's more I finished it! In one sitting! I went to bed, wondering which of my editors I would "grace" with my genius. 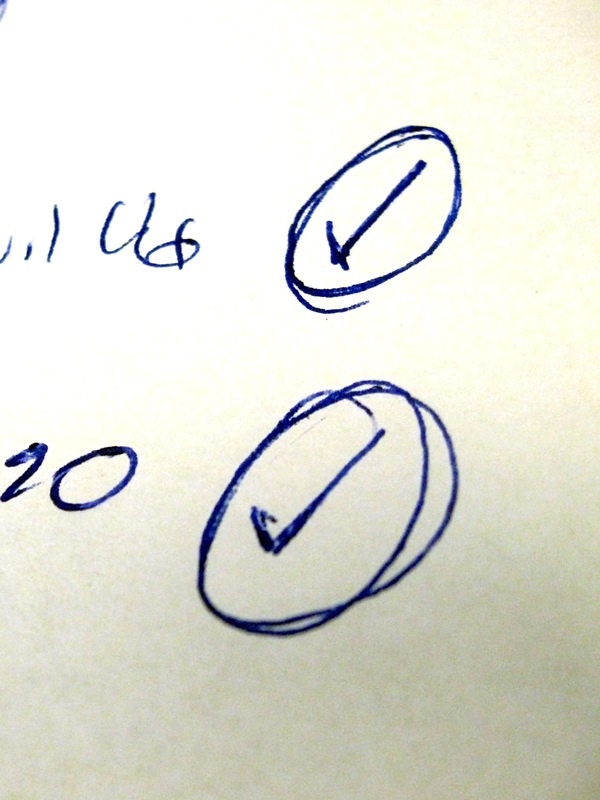 I wait a couple of days before re-reading a picture book manuscript. You know, long enough to catch a bug here and there. I figured Camp K-9 needed so little "de-bugging," I would mail it that day. Hmm. This manuscript seemed unusually long for something that was supposed to be under 800 words. (I know editors like them shorter than that, but I have never which managed less than 775.) I read on and on, then hit the word count command. I wasted three pages (usually the length of the entire manuscript) with a story "frame": Nilla belonged to a little girl and this would be the first time they had ever been apart, and there was a wizard who turned the kennel into Camp K-9 every night and blah, blah, blah. What was I thinking? I never use story frames, not even in novels. can't draw. And what editor would buy a graphic novel about a Valley Girl dog and her friends? Who would read it? My hand hovered over the delete key. I didn't want to give up on Nilla. I liked the title Camp K-9. I would simply write about Nilla as a puppy. The trick to writing a picture book (if you are not your own illustrator) is to include a lot of action scenes to give the artist something to work with. After three hours I had only two Nilla puppy memories. She would fall asleep across your shoes, thus trapping you in place until she woke up. And whenever you came home, she would be so excited she would pee at your feet (not on them, thank goodness.) Not great visuals. And worse, no story. Sigh. I deleted Camp K-9, except for the title. There would be a book called Camp K-9 some day. Just not this day. Months went by with Camp K-9 in my mental "creative crockpot." I had a critique group meeting coming up, and no manuscript to contribute. I re-opened the empty Camp K-9 file. Maybe the real Nilla was getting in the way of a fictional one. I changed her name to Roxie, the name of the boxer who lived down the street. I suddenly realized that almost everyone I knew had a dog. A dog with a human name; apparently people don't name dogs Spot and Skippy any more. I quickly had a roster of dog campers with names like Bea and Hannah. I didn't specify breeds for any of the dogs, save two; Lacy, who was a standard poodle who lived across the street. Since I planned for her to be "the mean girl," I thought the combination of a breed known for being "a chick dog" along with her sweet name, would be hilarious. The other "real dog" was Pearl the Pug, who incidentally belongs to Emmy of A Tree for Emmy fame. Once, I had those dog names, I could see them, doing all sorts of things that canine campers would do; hiking, swimming, making paw-print crafts. Yeah, I gave my future illustrator a lot to work with. I counted the days until critique group. 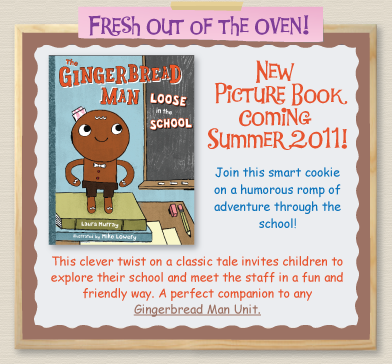 "And now, Mary Ann's picture book," said the group leader. Was I being paranoid or was everyone taking a long time to find my manuscript in their files? "Who wants to start?" asked the leader. Long silence. Someone's chair creaked. A throat cleared. A little nose blowing. Usually, we all had a million things to say, suggest, critique and couldn't wait to say them. This loud silence was not a good sign. Someone said they liked the dog names. Another long pause. Someone else said that the illustrations would be "cute." My toes curled. I hate the word "cute." Finally, the bravest of us said "This isn't a book." My heart dropped. How many times had I heard that particular criticism? A lot. "You have a bunch of dogs running around doing stuff at camp, then they go home. So what?" Disappointed as I was, I knew she was right. There was no conflict, no tension. Sure, Lacy and Roxie had a few run-ins, but they had no resolution. "Maybe this isn't your kind of book," someone suggested in a kind way. "You write good novels. Maybe you should stick to novels." This person is a friend, and I know she meant to be encouraging, but it wasn't. It just made me more determined that I would not waste perfectly good characters like Roxie, Lacy and Pearl the Pug. There would be a Camp K-9. Some day. The above title should tell you why I rarely attempt poetry! The book for our latest giveaway is Camp K- 9 (Peachtree Publishers) by yours truly, with the most wonderfully funny illustrations by Nancy Hayashi. By now, you have probably figured out that this is a picture book about dogs going to camp, but more about that on Wednesday. Believe it or not, this book took me four years to write because I was stepping outside my comfort zone. What comfort zone? you might ask. 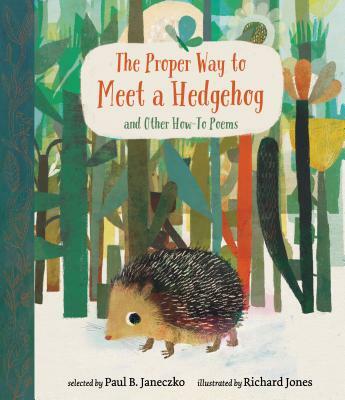 You've written picture books before. Lots of them. I call them "talking critter" books, where the animals act as surrogate humans. Because some of my writing idols (Kevin Henkes, Carolyn Crimi and Lisa Wheeler) are masters of "the talking critter," I decided the field didn't need whatever measly effort I might produce. A dull Fourth of July neighborhood party. I was so hot and bored that I went home for the publisher's catalogs that I kept tossing on my desk to read "later." I was struck by how many "talking critter" books were in the picture books section, and how few involved real children (my genre). It hit me that if I was going to stay in this business, I better learn to write critter books and soon. The trouble is my creative brain doesn't look at a cat and see a barrio feline, whipping up dinner for his new neighbors, a family of mice, as in Gary Soto's hilarious Chato's Kitchen. I see my psychotic cat, Rosie, doing cat things; sleeping, eating, chewing my face off because I am late with her grub. Not picture book material. Then I remembered our first dog, Nilla. Now she was a character. Nilla already thought she was human, and we thought of her the same way. When we got married, my husband wasn't at all sure I could handle motherhood, despite the fact that I had been school librarian, responsible for lots of kids every day for ten years. Our pound puppy was supposed to be my surrogate baby. Really. If puppy turned out OK, it was assumed I would do equally well with a human baby. Really. Nilla was part cocker, part spitz, so when asked, I said she was a pure bred "spitzer" (I will resist an Elliott Spitzer joke here.) Because she was pure white, and because the rapper Vanilla Ice (remember him?) was on Saturday Night Live that weekend, I named her Vanilla Ice, which soon became Nilla. Even as a puppy, Nilla seemed like a human teen-ager. We imagined that she hung out with Paula Abdul and the Laker Girls (we're talking early '90's here). We imagined she'd swiped our car keys to hang out at the mall with her "girls." But most of all, I remembered Nilla going to "camp." I don't remember the actual name of the kennel, but I do remember its logo; a dog carrying a tennis racquet, golf clubs and a suitcase. "See," I told my guilty husband. "We're not deserting Nilla to go on vacation. She's going to camp." We imagined what Nilla might do at camp. I thought she might French braid fur and give pedicures. My husband knew she was teaching the other "campers" poker, and that she probably cheated. Yeah, I thought, as I gathered my publisher's catalogs and headed for home, I can do this. I already have a great main character and premise. I'll write a book about Nilla going to camp. I'll call it Camp K-9. 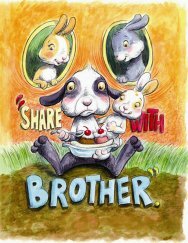 I can write talking critter books, too. That was the easy part. There is a part two. And three. Tune in Wednesday and Friday to learn about leaving your comfort zone (and freaking out), making mistakes (and fixing them!) See the instructions below to enter for your chance to win a copy of Camp K-9. 1. You must comment to today's post, telling us why you would like to win Camp K-9. Will you be keeping it for yourself or sharing it with another young reader? 3. You must send us your post by 11 pm (CST), Wednesday, May 11. Winner will be chosen at random via Random.org. and announced on Thursday, May 12. Note: Winners automatically grant us permission to post their names here on the TeachingAuthors website. 5. You must respond to the notification e-mail and provide a mailing address within 72 hours, or the prize will be forfeited and an alternate winner chose. Those are the official rules. If you feel like sharing a camp memory, that would be great, but certainly not required. To get the ball rolling here, I will share the only thing I remember about Girl Scout day camp. We had to make our own meals, and every day, dessert was boxed banana pudding. Every day, I would find boulders of unstirred pudding mix in my dish. To this day I shudder at the mention of banana pudding. How about you? It doesn't have to be sweet, embarrassing, or even super memorable (see "banana pudding.") Later on, you'll find out what camp means to Roxie, Camp K-9's main character.